For me, the minute you conceive the emotions of guilt and anxiety become heightened. The world is suddenly full of dangers you could not possibly have foreseen and life changes. No longer do you simply need to take care of yourself. Guilt is no longer consigned to those mornings you awake with a hangover and the events of the previous night slowly come filtering back in. (we’ve all been there, right?) Now there is a new channel for guilt and anxiety, a new reason for these emotions to thrive and overwhelm you. But feelings these things shows you care and encourages you, as a parent, to do the best job you can for your children. But when you child gets diagnosed with a life changing and life limiting condition what happens then? Anxiety and guilt take on a whole new meaning. And into the mix comes anger, depression and, so I am told, eventually acceptance. This year has been a very challenging one for me as a mother. Last December my middle child was diagnosed with a collapsed lung after years of poor health and doctors appointments. I have written about the diagnosis of and the events that resulted in him having to have two thirds of his right lung surgically removed. The doctors at this point were still unsure as to what has caused the permanent damage to his lung, it could’ve been a virus that settled in the thick mucus his body repeatedly produced, in which case the surgery would permanently correct this, or worse case scenario his symptoms would return after he recovered from the operation and investigations would have to step up a notch to prevent any more of his lungs becoming damaged. No more of his lungs can be removed, and a lung transplant would be the only option. Sadly it was soon apparent that the symptoms were not going away. His wet cough and excessive mucus were ever present and he repeatedly had high temperatures. On consultation it was quickly decided that he would, from now on, be treated as a child suffering from the genetic condition Primary Ciliary Dyskinesia. It’s a condition in the same family as Cystic Fibrosis, however not as serious, and is where the cilia (tiny hairs throughout the body responsible for removing mucus from our airways) do not beat in time, or even at all, and are therefore ineffective. As with my son, one of the worst case scenarios is that this causes mucus to pool in the lungs and be a breeding ground for bacteria resulting in the permanent damage of the lungs. It is a lifelong chronic condition that requires daily physiotherapy; frequent x-rays and potential IV antibiotic and hospital stays due to recurrent and potentially dangerous infections. As well as suffering from hearing difficulties and potential infertility. You can read more about the condition here: wwwpcdsupport.org.uk. 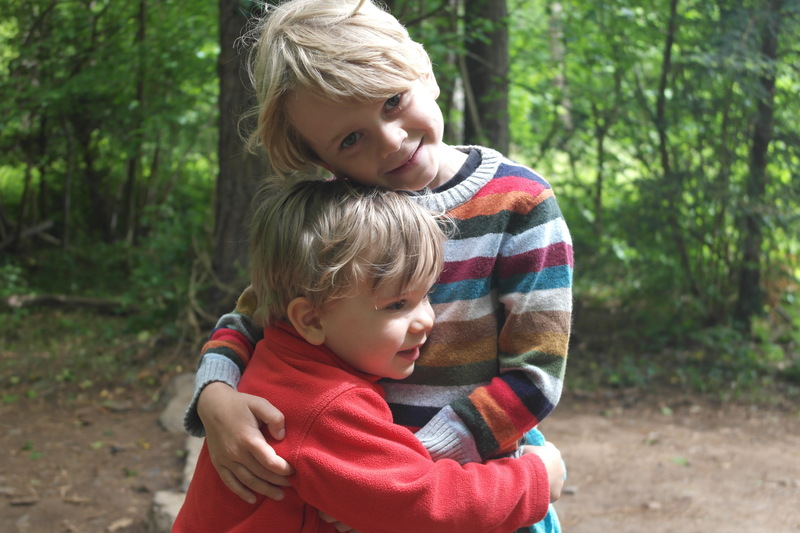 During this year my youngest children, now three, has also noticeably been displaying similar symptoms and even though there is a one in four chance per pregnancy (both parents need to be carriers of the defective gene for it to be passed on) there is still a high chance that siblings can also be affected. My youngest child had had recent chest infections as a newborn and also had a permanent wet cough. We were sent very quickly to Southampton hospital (an amazing team work there and focus on PCD) and sadly initial test have shown that he too suffers, and so he is also being treated as a child with PCD. And to be honest, since that day in Southampton my anxiety and guilt have hit the roof and I am struggling to come to terms with their diagnosis. This is life changing and potentially life threatening and the responsibility of keeping their lungs clear of mucus and healthy primarily falls to me. I am the one who has to encourage/make them to do their daily physiotherapy, sometimes several times a day, I am the one who has to monitor their temperatures and gauge whether they need to be rushed into hospital for a chest x-ray and sputum test to pre-empt a life threatening infection (and even a common cold could be that infection for them.) I have to make sure I constantly am on top of their antibiotic prescriptions and the paperwork involved is immense…hospital appointments, DLA forms, and so many more. 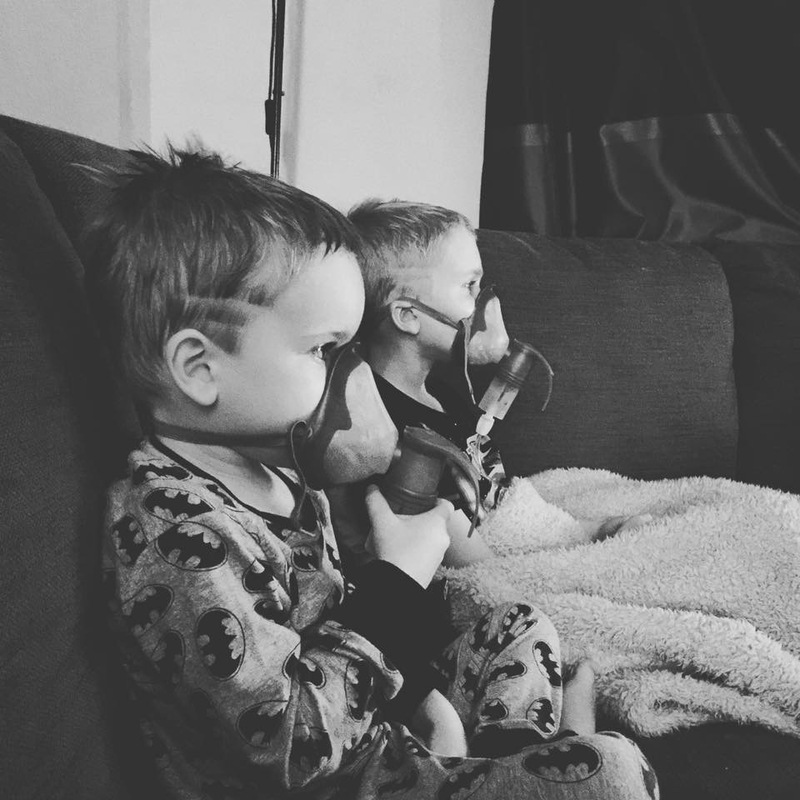 I lie awake at night and hear them both coughing as their bodies try desperately to get rid of the mucus that builds in them everyday and wonder how long before our next infection or hospital stay, and will this be the one where my middle son needs a transplant because his lungs have been completely destroyed by the disease. I feel guilty everyday that I didn’t fight harder to have him x-rayed when his cough and mucus first began to take its toll on his already malnourished and fragile body. I feel guilty for passing this illness onto them even though I didn’t even know it existed or I carried the defective gene. I feel guilty that their lives will be dominated by physio and staying healthy and nasty tests and hospital stays. And I’m anxious every minute of everyday about their health. Am become obsessed with taking their temperature and, in all honesty, catastrophising a bit about it all. I feel like I am grieving for the healthy children I thought I had and learning to accept that I am now the mother of children with a chronic illness. At no point do I ever see myself accepting this. It seems too cruel and unfair. I know there will be a period of adjustment as we all learn to live with this. And I know we will all get there, but for now it is too raw and too upsetting. It hurts. And sadly anxiety and guilt are in control.